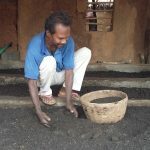 ‘The idea that Organic farming is merely ‘replacing chemical fertilisers with cow dung’, is primitive.’ This article by Anshuman Das was originally published in the November 2017 edition of Maharashtra Economic Development Council’s (MEDC) Economic Digest. I remember, as a child, my grandmother used to fry paddy seeds on a pan-full of hot sand to make puffed rice – small, yellowish white, popping up like magic seeds in the pan. It was mixed with dry-fried ground nut, fried safflower seed – which made a wonderful evening snack that day. I cannot recall when the urea-soaked puffy milky white puffed rice replaced that. I remember very small sized unknown varieties of fish during rainy seasons, collected by small kids and even by elderly ladies from the rice fields or unnamed streams, which were available aplenty in the local market. They were delicious when cooked with mustard sauce or was wrapped in bottlegourd leaves and steamed. I can’t recall exactly when those were replaced by frozen Major Carp injected with formalin. I remember, going to the market with my father. My father never asked whether the vegetables were ‘organic’ or not. For the last 10 years, and more rapidly in the last 5 years, one needs to go to the shopping malls to buy organic vegetables which are costlier compared to the vegetables available otherwise. These are not stories, this is real. These are real for, perhaps, many of us. It is now that we get tomato all through the year, cauliflower in summer and only 2~3 varieties of rice, atta (wheat flour) as white as maida. We have more than 50,000 edible plant species in the world, but only a few hundred contribute significantly. Just three of them, rice, maize and wheat – provide 60 percent of the world’s food energy intake! How come, despite great progress in increasing productivity in the last century, nearly 800 million people remain chronically undernourished? And India, with so-called success with green revolution, still ranks 100th in hunger index among 119 countries in 2017? How come the then Agriculture Minister had made an exciting statement in 2012 that agricultural exports have jumped nearly 56 percent? While on the one hand, India is pushing its agricultural exports, on the other hand, in India, a number almost equivalent to the entire population of America, go hungry to bed. It is a strange paradox of plenty. Let us set aside this larger socio-politico-economical debate about the country. What about, I, as a middle-class consumer or I, as a small farmer in a village, want the market to work for me? Organic – what is it? And we have a recent buzzword – ‘organic’. Let’s dig deep into it. Organic is costly in the shopping malls. Should it really be costly? 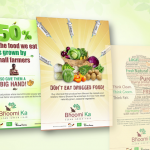 If it is grown by no chemical inputs (fertiliser/pesticide) – is it really organic? Is Organic to be grown only for cities and export markets? Is certification needed for Organic products? Can we be healthy if we eat, drink only Organic? Are the farmers getting the share of the profits made by the shopping malls? Answers, of all the above questions, is NO! The idea that Organic farming is merely ‘replacing chemical fertilisers with cow dung’, is primitive. ORGANIC Farming with underground water, composts/vermicomposts brought from a market, soil used from unknown sources, use of mechanical devices like water pump, use of tractors run by non-renewable energy, hybrid seeds from the market – is NOT Organic farming. 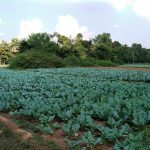 Organic farming run as a contract farming practiced by corporate bodies with monocrop, acres after acres, is NOT Organic farming. Market-driven cash crop farming with vermicompost is NOT Organic farming. Organic produce travelling huge distances on a carbon emitting vehicle is NOT organic. I prefer to use the word ‘ecological’ farming instead of organic farming – only because, not all in the name of organic farming is socially just, ecologically sustainable and economically fair. Are we enquiring these before buying as a consumer? Ecological farming which focuses on sustainable techniques, self-sufficient in input by recycling agro waste is actually less costly (to the farmer and to the environment – and here I am not talking about a fancy small but rich farmer, in the fringe of urban settlement, growing yellow capsicum for five-star customers). But the farmer should get a better price as she is spending more time and she is doing an ecological service to the earth. But when we buy products from the market, are we sure that the farmers are really getting back their investment? Most of the ‘organic’ products we buy from the shopping complexes are company produced, not from small and marginal farmers. 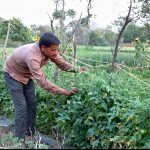 Small and marginal farmers are still practicing ecological farming. Smallholders play the most important role in world nutrition security and biodiversity conservation as they produce the bulk of all food in developing countries, including 70% of all the millets, tubers, fruits and vegetables. But with huge pressure from the government and tricky marketing strategy of the seed and fertilizer companies, they are slowly converting to non-ecological practices. Are we are concerned about their livelihood and our health as well, OR are we happy with organic apples coming from New Zealand? Are we content with the spices with a stamp of ORGANIC on it which has high certification cost and we are paying for it when we are buying? Why do we burden our small farmers with certification process? Have we ever thought that actually, the products which are grown with chemicals should carry a ‘danger’ sign? Have we ever thought why there are subsidies for polluting the world with chemical fertilisers? Why is there no incentives for farmers growing food ecologically? Have we ever looked into the truly ecological products, perhaps, an old vegetable seller with few assorted products from her garden, selling in one corner of the market? And yes, ecological food is tasty, if it is fresh. With preservatives and a climate- unfriendly tetra packaging– however tasty and long lasting be it, I will not consider it to be Organic. And if you are not following a lifestyle which is sustainable, which is climate-friendly – eating Organic produce will not save you from being sick. Can we become a responsible consumer? Let me re-write the title. I don’t want ORGANIC market, which is usually seen and advertised in the media. We need something else. What is MY type of market? I need a market which has fresh local products. Which has not been doused in chemical colours or toxic elements to look fresh. I am aware that the leafy vegetables get dry if it is kept out for long, or all the brinjals might not look exactly similar if they are local variety. I do not expect tomato in summer. I tell myself to eat only seasonal vegetables. For this, I need to talk to the farmers, and sometimes visit their farm, if possible – so that it helps in growing a sense of trust between the producer and the consumer. So, I do not care about certification. I also want to know clearly, what am I paying for – how much it is for transport, how much for production and how much for packaging (I would prefer a healthy drink from a green coconut paying 10 Rupees extra, then consume a sugar loaded cheaper bottle of fizz drinks, which spends 70% on packaging cost and, maybe, another 28% in advertisement). Yes, it is, if the market is very far from the point of origin of the product. However, for a semi-urban market, where farmers are nearby, it is not very difficult – farmers’ market on weekends is a common practice in many European cities. So it is the transport which makes it difficult. But it is probably not required to transport all the products all the way from Nainitaal to Nasik. The food habit of a particular community depends on the ecology of the location – people are used to the food which grows in that particular region. That’s how people in Bengal are fond of fish and people of Rajasthan are not. This was the situation about 100 years back. But now, we are in a globalised monoculturised era, and we are used to having the same food everywhere. We would like lobster curry in Rajasthan and have apricots in South Bengal. Food was never just rice or wheat. We were also used to consuming large varieties gathered from the common properties like rivers, forest, grazing land etc. I am aware, that if I want to have apples from Kashmir – then I have to pay more. But as a consumer, I want to get the logic clear for the price. I want the detailed pricing logic, the movement of product and ingredients reflected in the packet clearly. But, do we know how to read a food packet? And then there are problems of middleman, taxation on the product and the transport of food product – which are beyond our control. But, actually, as demanded by the present government, the current taxation has been reduced for food and food transportation. Are we aware of that? Are we able to challenge the market with that knowledge when we buy a product? Can we bring more understanding about food beyond our plate? Can we become an aware consumer? How is ‘market’ at the farmer’s end? Smallholder farming is mostly subsistence in nature, growing for their own family. 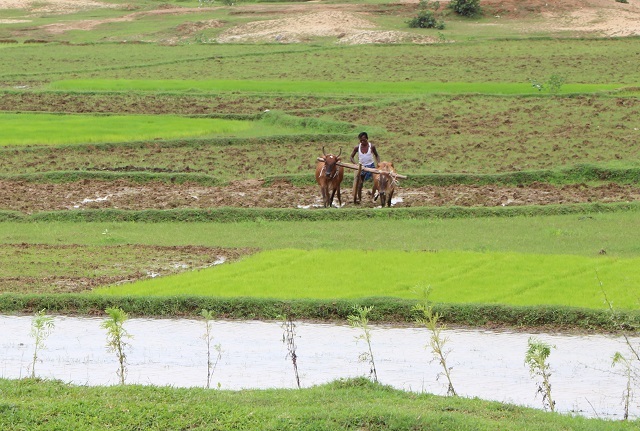 But this idea also has changed in this era – a farmer now grows rice to sell rice to buy rice. The diversity of farm has almost come down to 2~3 crops throughout the year. Farmers hardly keep accounts of expenses – they fear market, they fear calculation. They are happy if someone takes the product from their doorstep, even if in 1/3rd of the market price. Middlemen play an important role in the entire process. There are very few value-added products which go to the market – for example, they sell mustard, not the mustard oil. Advance selling of farm-products directly by the farmers, often when the price is lowest in the market, is also very common. There is no farmers’ organization locally to deal these issues. Small farmers have limited access to capital and credits. While the industrial scale monocultures have more capital, energy, policy support and subsidies at their disposal. Poor infrastructure and insufficient transport systems play a vital role for small farmers’ poor access to market and getting a low price. Can we assist farmers to become an entrepreneur? Can we make them understand what we, as customers, are looking for? 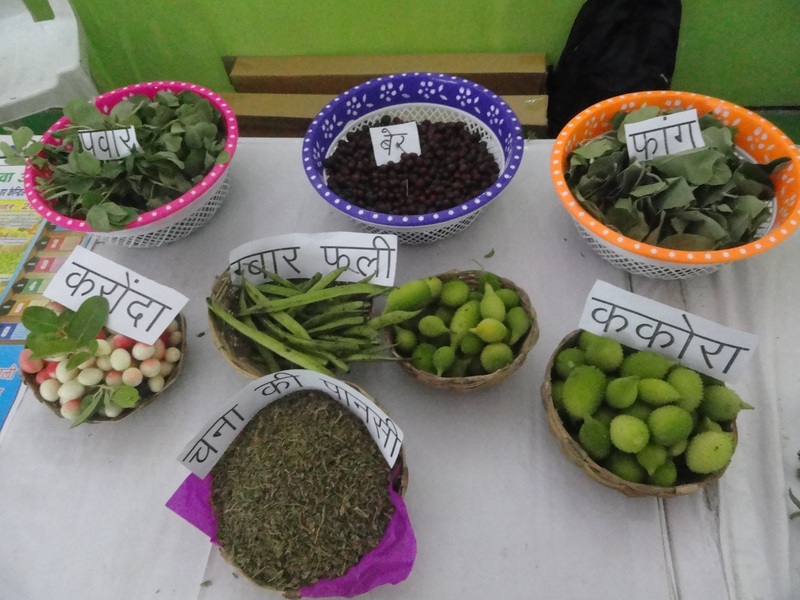 Can farmers create Common Facility Centres for primary value addition in the village itself, so that the by-product remains in the village itself (for instance, processing mustard oil, so that the cake can be used as fodder) and the value chain is pulled down to the village? So that farmers can play a larger role beyond only the supplier of the raw products in the value chain with lowest profit margin? There are many schemes to facilitate this, like SFAC, but successful examples are few. As consumers, we cannot agree to buy a soggy product which is not well packed, aggregated, cleaned or handled hygienically. In most of the cases, smallholder products, if there is any, are not up to the market demand. Quality is not maintained and there is a failure in continuous supply. It remains, most of the times, an example of project-driven exercise. When we invest in a business, when we buy shares, can’t we invest in such rural sustainable business? Can we also think of an idea of smallholder brand – as opposed to the monopoly of food companies? 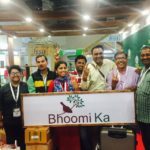 Can consumer and producer connect each other to bring in more transparency in food value chain? Can consumer and producer understand each other? 60% of Indians are farmers, even they are also consumers. Their food sovereignty can be created by self-sustained diversified family need-based production system. A larger ‘produce locally-market locally’ idea, which will have less of extra price added to food over the cost of production, can be tried out at block level by mapping food demand, available production space and creating a consumer-producer alliance. Let us not shift the debate from the ‘food sovereignty’ domain to the domain of ‘access to food’ only, while talking about consumption in the rural areas. The ‘access’ often creates further dependency on the system. 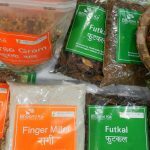 It is high time, we try to mould the market as a responsible food producer and consumer, else we will have to put up with what the market feeds us – be it puffed rice with urea or frozen fish with formalin.